The CM Prostar 250kg direct drive motor is the perfect design and application for unique rigging that can be encountered at small venues. This small and lightweight motor is both quiet and portable. 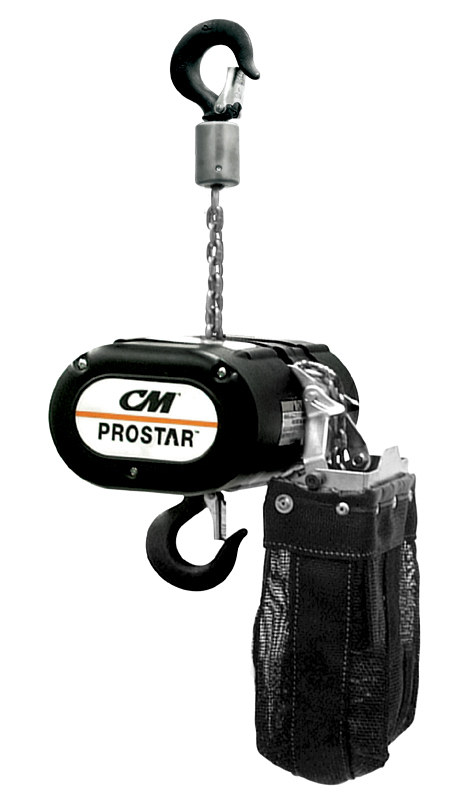 The Prostar features an overload device that protects the hoist, operator and structure from damaging overloads. Production Hire own a state of the art Prostar 250Kg Direct Drive Motor 10M for dry hire to support your live music event. Call or contact us for your free no obligation quote regarding Prostar 250Kg Direct Drive Motor 10M dry hire. One of the Production Hire team will be happy to help.